The card has been created in Serif CAP2. 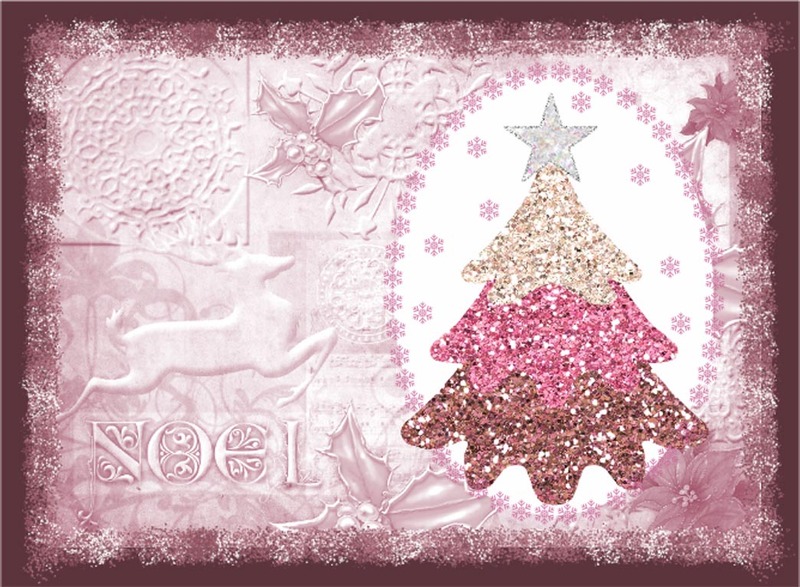 The background is from Debbi Moore's Vintage Christmas CD coloured pink. The Christmas Tree has been made from layers from my Layered Christmas Tree Digikit. I wanted to put snow around the tree but the CAP2 brushes didn't work properly, so I used a snowflake brush from Photoshop. The glitter around the card was a CAP2 brush which did work! This fabulous Caroline, all shimmery , your own tree is just beautiful and i love the whole layout. thank you for joining us at CD Sunday this week. 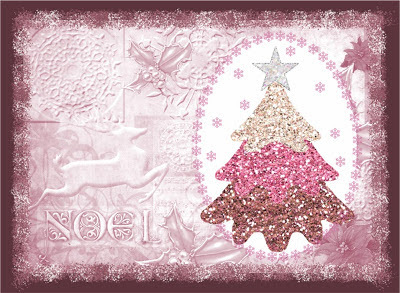 This is gorgeous Caroline, beautiful backing paper and your own christmas tree design is stunning. Thanks for joining us again at CD Sunday and for being 1st this week. Lovely shades of pink Caroline. I haven't had a chance to play with your Tree Kit yet but you have given me more ideas. Thank you for joining in with us at CD Sunday. This is lovely Caroline, fabulous layered tree and such a pretty background. Thank you for joining us at CD Sunday. Thank you for joining us at Cd Sunday again this week. This is pretty. I love the glitter and the subtle reindeer. Very pretty and I love the glittered effect. Caroline I really like your tree, loving what you've done with your card.Thanks for joining us at CD Sunday this weekl. NEW CHRISTMAS PATCHWORK PARTY DIGKIT!